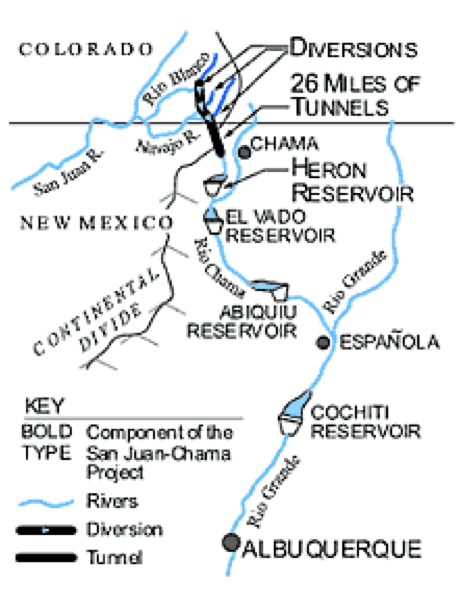 We are entering a critical period for New Mexico’s waters. A long-term drought is likely being exacerbated by global warming. The aquifers that urban areas along the Río Grande used for drinking water are being drawn down at an alarming rate, so cities are turning to the already over-allocated river for drinking water. Emerging wastewater science has shown that urban wastewater treatment plants are adding daily doses of pharmaceuticals and personal care products to downstream water users, in addition to increased nutrient loading with phosphates, ammonia, and nitrates. Mining and industrial pollution is infiltrating rivers and groundwater drinking supplies, and the Bush administration's actions that drastically weakened the Clean Water Act continue to hamper our ability to safeguard our waters. To meet these threats to our health and the health of our rivers and waters, Amigos Bravos has embarked on a full-scale assault against both local polluters and the federal administration’s rule changes. The key components of this effort are broad-based engagement of affected communities, carefully planned and targeted public and media outreach campaigns, and strong advocacy efforts in the New Mexico legislature, the state courts, and Congress. An important part of the work of Amigos Bravos includes translating our experience and knowledge-gained to the beneficial use of local watershed and acequia groups and other organizations doing water-related work. Doing so enhances their capacity for success and increases the likelihood our own efforts take hold and multiply the reach and impact of the funding we receive. Amigos Bravos works with a very wide range of stakeholders – local communities, farmers, ranchers, acequia associations, Pueblos, sportsmen, environmental groups, government agencies, technical and legal experts, and other professionals. Amigos Bravos was a founding and principal member of a number of coalitions including the Citizen Agenda for Rivers, the Río Chama Coalition, the Rio Grande Río Bravo Basin Coalition, the Río Pueblo Río Embudo Watershed Protection Coalition, the Red River Watershed Association, the Taos County Noxious Weed Committee, the Rio Grande Alliance, the Alliance for the Río Grande Heritage, Westerners for Responsible Mining, the New Mexico Mining Act Network , the Mining Impacts Communications Alliance, and the Coalition for the Valle Vidal. Recognizing that the environmental community was increasingly marginalized by the very same land-based communities that Amigos Bravos wanted to work with, we incorporated environmental and social justice into our mission in the early stages of our development as an organization. Building on that commitment we initiated the Somos Vecinos project to facilitate dialogue between the environmental and indigenous communities. This led to a current coalition of environmental and social justice organizations. Taking that work one step further we are now implementing projects that maximize the effectiveness of an environmental movement that includes a broad spectrum of civil society. We firmly believe that this grounding in local community and land-based organizations, combined with our pragmatic agenda of movement building to restore, protect, and sustain our State’s rivers, streams, and water is what sets Amigos Bravos apart. It is just such an approach that will build a broad based movement to preserve our health, cultures, recreational opportunities, and livelihoods for generations to come. Amigos Bravos has been a member of the Southwest Rural Policy Network (SWRPN) since 2007. SWRPN is a diverse, multicultural group of organizations coordinating efforts to affect policy that respects and improves the quality and opportunity of rural life. Together, the SWRPN fosters personal and professional connections, shares best practices and designs new strategies for change. The network is comprised of fourteen organizations originating in Arizona, New Mexico and Southern Colorado, each working on a variety of social issues that affect the people and communities of the rural Southwest. The combined energy of each member organization promotes a collaborative, multi-organizational approach, which takes the experience and expertise of diverse rural advocates and builds a comprehensive voice for our rural Southwest. The SWRPN’s Vision for the Rural Southwest is one in which communities are economically vibrant and self-sustaining, invested in local development, capacity and infrastructure, and in which the environment is restored and cultural identities thrive. We affirm rural people as stewards of spiritual, educational, economic, and mental and physical health, and as equal and respected partners in all levels of government, civic engagement and collective leadership. Together with Water Sentinels of Taos, Amigos Bravos continues to gather water quality data from four Taos rivers – the Red River, the Rio Fernando, the Rio Pueblo, and the Rio Hondo – The last three of which showed evidence of E-coli contamination. The New Mexico Environmental Department approved our data and will be devoting resources to cleaning up the impaired waters. Click here to read more information about our water monitoring projects. Amigos Bravos Projects Director, Rachel Conn, with support from others on the staff, assists communities across the state to use the Clean Water Act to protect and restore their rivers. 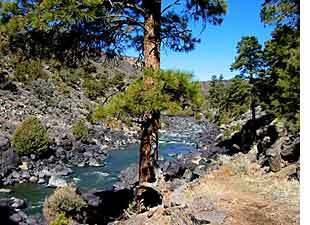 The goal of the Clean Water Circuit RiderProgram is to increase the capacity of New Mexico communities to address issues of environmental injustice, restore watershed health, and clean up polluted river systems.